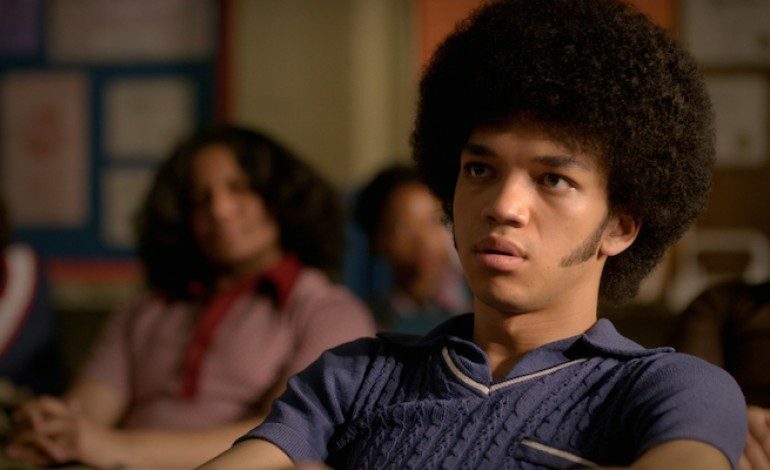 It was announced on Thursday that Justice Smith has joined the cast of the upcoming Jurassic World sequel. The 21 year-old The Get Down star will be acting alongside returning cast members Chris Pratt and Bryce Dallas Howard. A Southern California native, Smith attended high school at Orange County School for the Arts, where he was ranked in the top 1% of young artists in the United States by the National Young Arts Foundation during his senior year, and was nominated for the U.S. Presidential Scholar of the Arts. Smith then graduated in 2013, and has since been in Nickelodeon show The Thundermans, the film adaptation of Paper Towns, and nabbed the lead role in Netflix’s The Get Down. Before Smith goes to film the next Jurassic World installment, he will be in New York, starring in the off-Broadway play Yen, which will open January 30th. The plot for the Jurassic World sequel is not known yet, but it has been announced that Spanish director J.A. Bayona will be directing. Bayona received critical acclaim this year for his film A Monster Calls. This film will be the fifth film in the Jurassic Park franchise, and coming to theaters 25 years after the original Jurassic Park film. The film will be filming in South Wales next year and is expecting a 2018 release date.